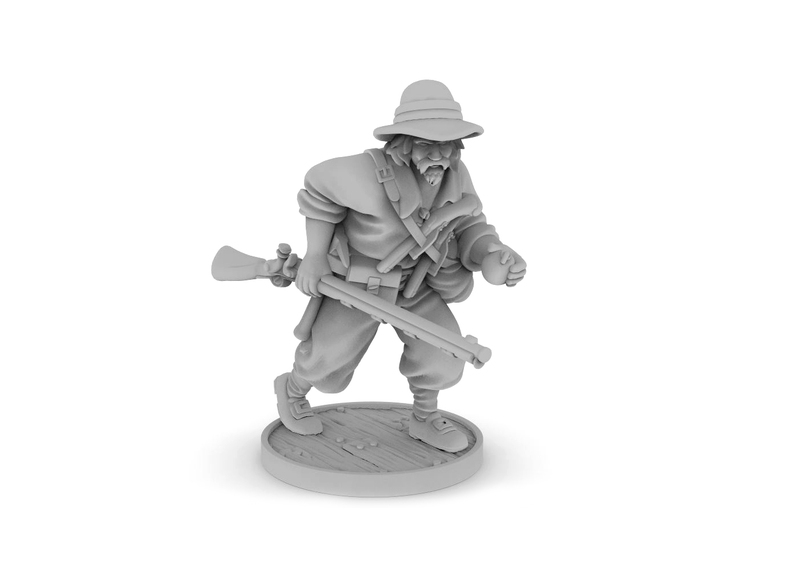 A few days ago I ran into an upcoming miniatures Kickstarter that has me very, very excited. 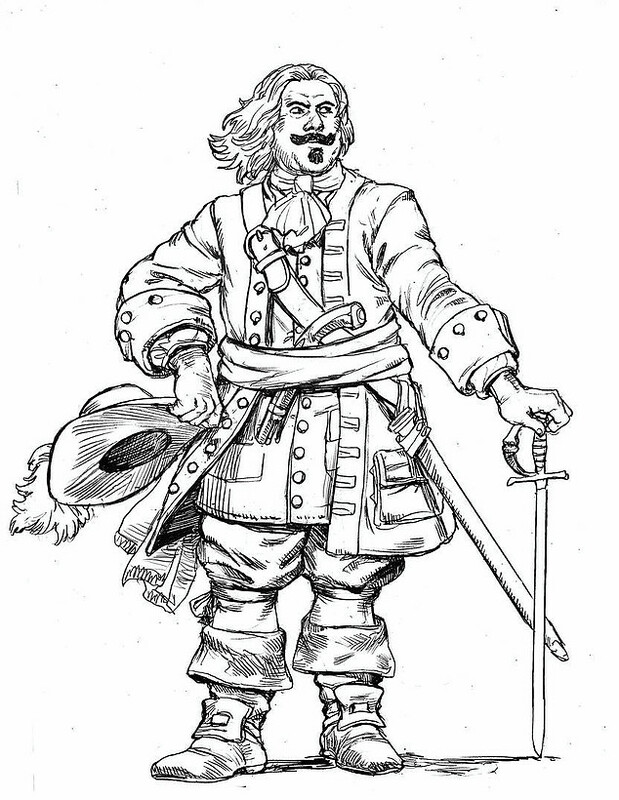 Blood & Plunder by Firelock Games is a new, historical pirate game focusing on Spanish Main in the 17th century. 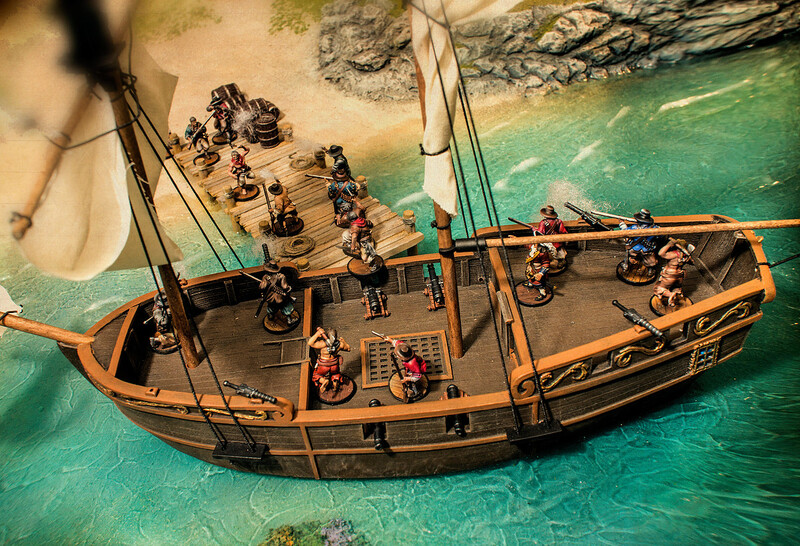 This distances the game a little from the usual pirate wargaming fare, as most games – as far as I know – tend to focus on recreating the Hollywood-style swashbuckling view of pirates. And hey, that’s what I’m doing as well! 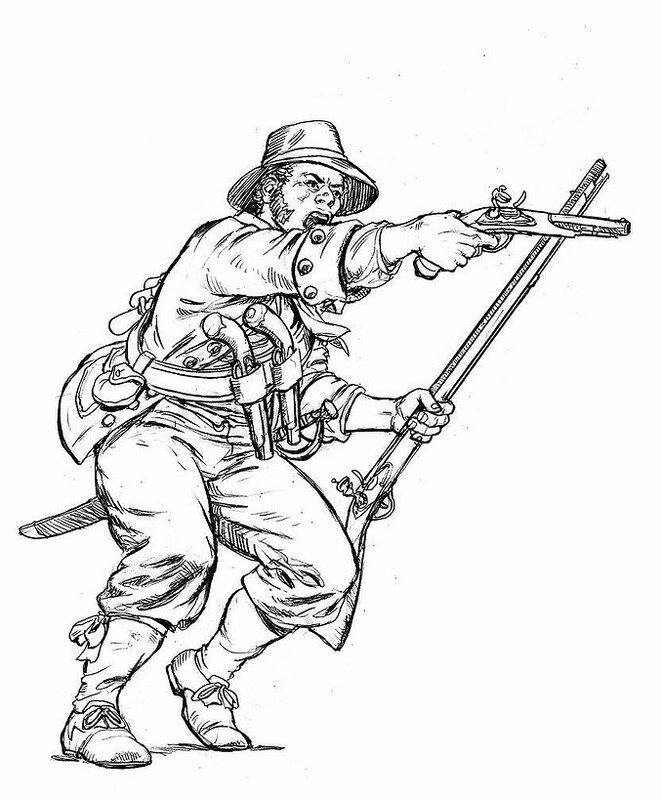 The historical aspect is definitely not a deterrent for me, as I find pirates intriguing on the whole. 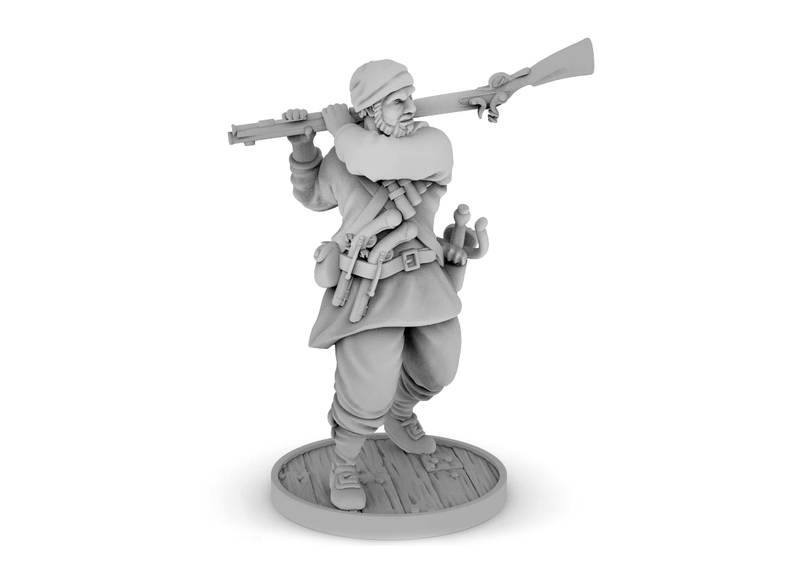 The miniatures, marketing shots and concept art are looking lovely, and I’m definitely waiting for the Kickstarter. 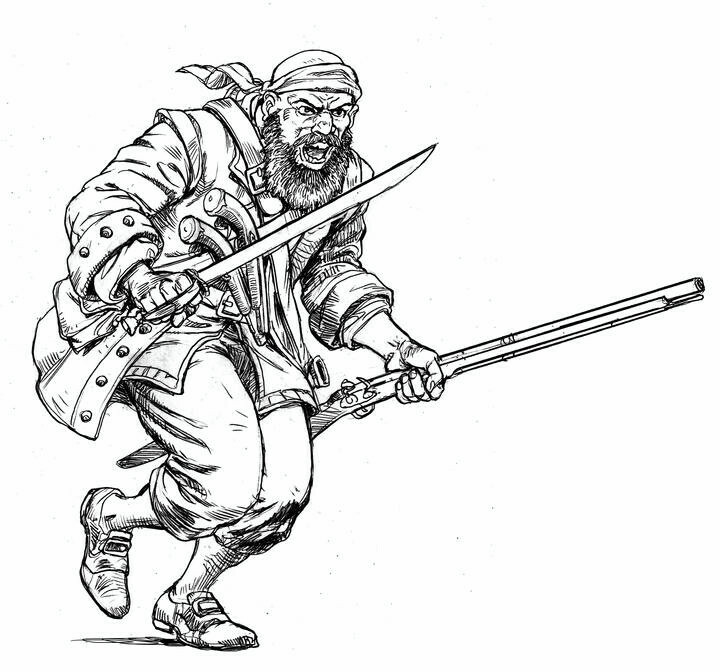 My favourite minis of the lot have to be the buccaneers, who look suitably rough and pirate business-like. As you can see it’s looking pretty inspiring. You can click on any image for a larger version. All images are © Firelock Games and used with permission. 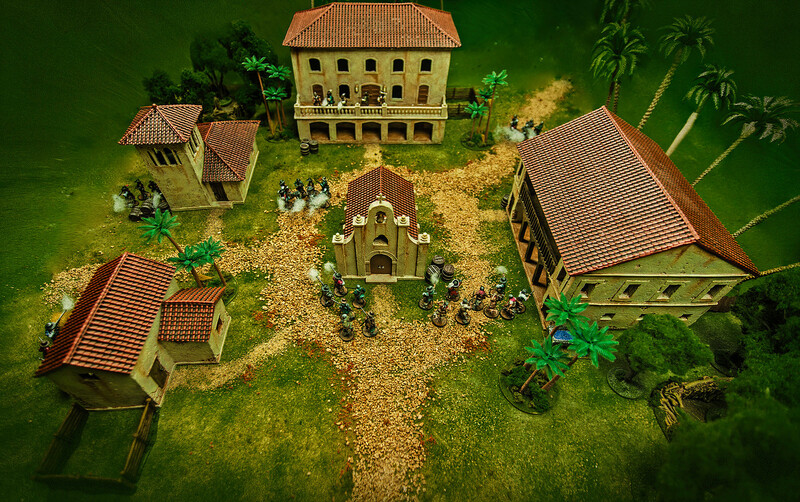 For more information, you can visit Firelock Game’s website or check out their interview on Beasts of War. Oh, and just to make it clear, I’m in no way affiliated with the company nor is this bought or requested advertising. 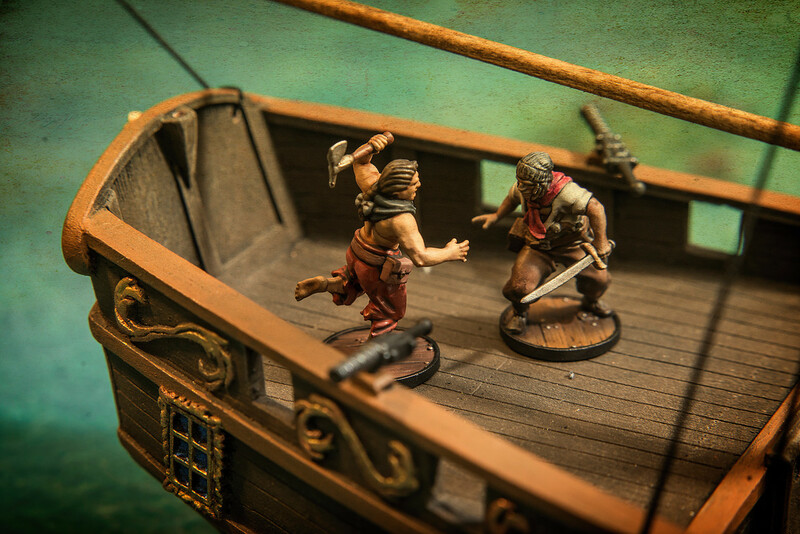 I just haven’t been this interested in an upcoming miniatures Kickstarter since Alien vs. Predator (which after a million delays is still failing to deliver), and wanted to share it with you! Any others interested? Looks actually pretty cool. The gaming board they show also looks amazing. 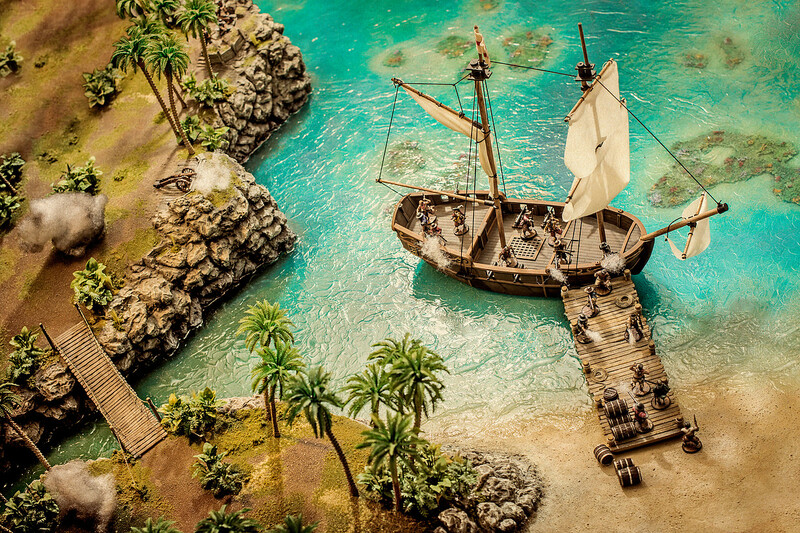 Really makes me want to make some swashbuckler terrain ;). I’ll watch the kickstarter and see how it developes. Let me hear them ;). Skull island would be the classic one. Depends on the size of the project you’re looking to do. A rowdy pirate tavern, a gallows for those daring, last-minute rescues, a cave for buried treasure, an Aztec temple filled with cursed gold? This is great news, been waiting a while for this to come after hearing whispers of it last year. Soon be time to jump on this Kickstarter! It is! Kickstarter date was just confirmed as April 19, so less than a month away. 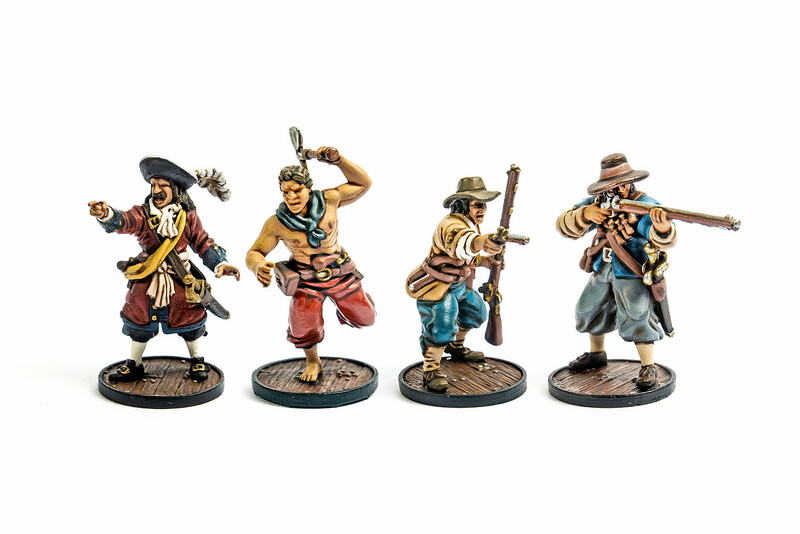 Although our pirate game are pretty much over-the-top Hollywood style, I’m interested in historical pirates and the minis look very nice… I’ll have a look at the Kickstarter! My thoughts exactly! Looking forward to this.